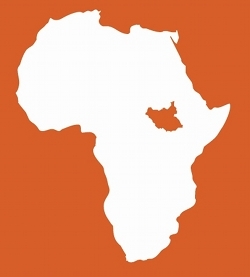 Here are some books for young adults about Sudan’s long journey through decades of war to the creation of an independent nation, as well as some books about other African countries. Linda Sue Park’s A Long Walk to Water is a fictionalized biography of Salva Dut, a Dinka boy separated from his family during the war. He is among the “lost boys” who trek across three countries seeking safety, finally coming to the U.S. Park also tells the story of Salva’s return to Sudan after the war in 2008 to begin to dig wells for people who spend hours a day carrying water. 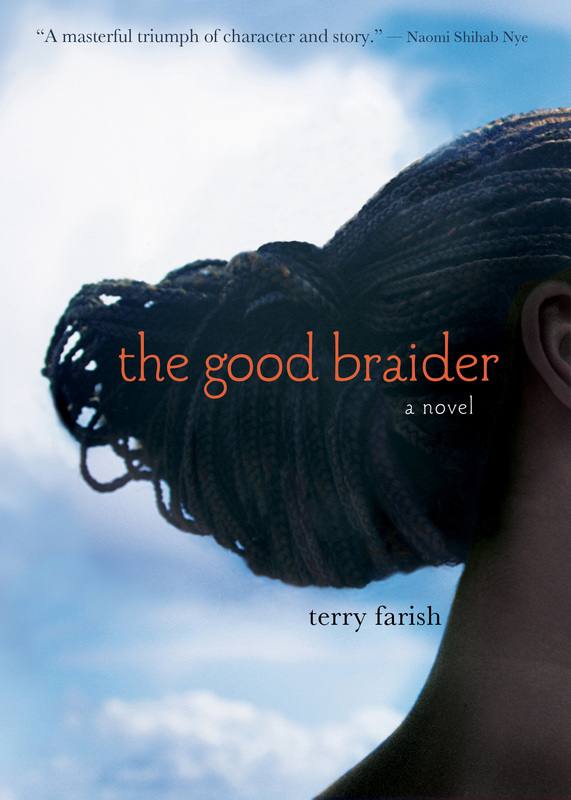 My book, The Good Braider, Marshall Cavendish, May 2012, is a novel in verse based on oral histories I gathered from Sudanese families in Portland, Maine. It’s a teenaged girl’s experience of war and dreams and the African art of braiding hair. Mary Williams with illustrator R. Gregory Christie tells the journey of the “lost boys” in pictures and words in Brothers in Hope. Home of the Brave by Katherine Applegate is a novel in free verse. The main character, Kek, is a young boy, a keeper of cows when he lived with his family in rural Sudan. When he begins to care for a cow in Minnesota, it is a step to making American his home. What is the What by Dave Eggers and They Poured Fire on Us From the Sky by Benson Deng, Alephonsion Deng, and Benjamin Ajak are adult books young adult will be reading. Both tell the story of “lost boys” from the Dinka tribe, the largest and dominant tribe of South Sudan. Another adult history is God Grew Tired of Us by John Bul Dau. There are memoirs of the horrific experiences and victories of boy soldiers. One is War Child: A Child Soldier’s Story by Emmanuel Jal, a “lost boy” from Sudan, now also a rap musician. War Child is often compared with A Long Way Gone by Ismael Beah, a story of the war in Sierra Leone in the 1990s. I know of two books that focus on contemporary slavery in Sudan. One is a middle grade novel based on a true story, Dream Freedom by Sonia Levitin about slaves in Sudan and American students who raise money to buy their freedom. Another is a memoir by Francis Bok, Escape From Slavery. Another category of related books are nonfiction refugee narratives, many in the voices of young people. One book is Making it Home: Real-life Stories from Children Forced to Flee with an introduction by Beverley Naidoo. It includes a short piece in a South Sudanese girl’s voice. Another is one of Brent Ashabranner’s beautiful photo journalistic books, The New African Americans. Two books stand out as ones that tell girls’ stories of Africa, though neither is set in Sudan. One is a YA/adult biography about a girl who survived the genocide in Rwanda called Over A Thousand Hills I Walk With You written by her adopted mother, Hanna Jansen. 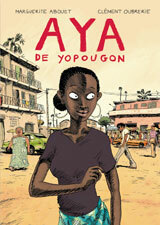 The other is totally different, the graphic novel Aya by Marguerite Abouet and Clement Oubrerie about 19-year old Aya in Ivory Coast in the 1970s and not about war at all. It’s set in a time of freedom and hope. It even includes a recipe for a love potion beginning with “Peel 4 pounds of fresh ginger.” You have to read the book.